Tore has been working in the field of Real Estate Management Services for more than 20 years. He has been with Colliers Property Management since 2008. Tore is working as Technical Manager and is responsible for Health, Safety and Environment in Colliers’ Property Management Estate Portfolio. 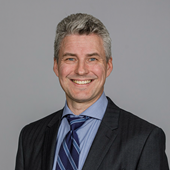 Jens Marius worked for Colliers International as Marketing Manager from 2006 - 2009 and came back in 2017 after a few years with DLA Piper in Norway and SEB. Jens Marius is an experienced property manager, asset manager and project manager serving real estate investment companies for both private and public clients. In addition he has a central role as Director Operations responsible for resource allocation and coordination of our operational activities. Geir has worked for Colliers International as Managing Director of Colliers Asset Management since 2013, which manages international real estate investments on behalf of Norwegian corporate clients. Geir manages international real estate investment for corporate clients ranging from Florida, Dubai, Abu Dhabi, to the Nordic region. Geir has more than 15 years previous experience with finance and investments and has worked exclusively with real estate investments since 2007, and can provide a knowledgeable servicing of the needs of our corporate clients. He is also involved in project initiation, evaluation and execution. Before joining Colliers Geir worked as a Senior Advisor at Pareto Securities Corporate Finance as well as co-founding a Norwegian boutique real estate securities firm. Jørn has been working in the field of REMS for more than 20 years. He has been with Colliers Property Management since the start in 2005, and became CEO of the company in 2007. In January 2015, Jørn became the Director of Property Management. Jørn has had leading rolls in managing all kinds of properties for everything from single clients to funds listed on the stock exchange, and have also managed larger refurbishments and building projects on behalf of investors.